Baseball Field maintenance can be a hassle, with hundreds of geese tearing it up every day. However, this year, that problem will be remedied with the installation of artificial turf on the baseball field. 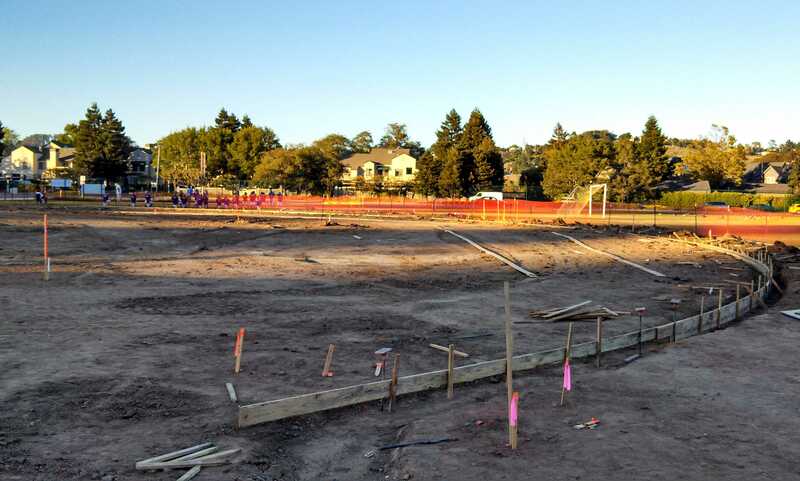 Tam baseball players received word of these coming changes in an email from athletic director Christina Amoroso this summer and construction is now underway. Both Redwood and Drake have turf infields, so this installation comes as little surprise. The benefits of the change are numerous and multi-faceted. Many of the baseball players look forward to the additon.“Having turf is a huge advantage because it makes it so that ground balls don’t take any bad hops for infielders,” Senior and left fielder Will Coomber said. “It also makes it easier to get base hits because ground balls that are hit travel faster through the infield.” Along with the benefits the turf provides for players, it will save time on maintenance, which largely has been the job of coaches. “The coaches will have more time to coach and won’t have to deal with maintaining the field,” Senior catcher Geoffrey Mohn said. The turf is expected to be fully installed by the end of the semester in time for the baseball season.